In 1945, Thermador introduced stainless steel to home appliances and invented the first wall oven and cooktop. Since then, Thermador has remained a leader in home appliances, continually revisiting the drawing board and designing some of the most cutting edge appliances in the industry. 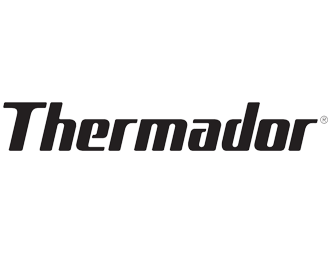 Thermador’s longstanding reputation is solidified by over 75 years of quality products and customer satisfaction. Thermador creates all appliances with the customer in mind, guaranteeing both satisfaction and trust. With appliances that make everyone feel like a master chef, Thermador guarantees quality and strength fit for professionals. Thermador is committed to providing customers with the best technology available, even if they have to invent it themselves. Even though Thermador is a brand trusted by many, home appliances can still break over time. Repairs may need to be made years after warranties expire. Indicator lights on Theramdor ovens are known to blow out and the digital display on their dishwashers can stop working. Fast Appliance Repair is equipped to repair all high-quality brands such as Thermador. We repair Thermador refrigerators, stoves, ovens, cooktops, dishwashers, dryers, washers, microwaves, and more.